Yesterday my fiance and his sister, Meredith, ran the Maryland Half Marathon benefitting the University of Maryland Marlene and Stewart Greenebaum Cancer Center. 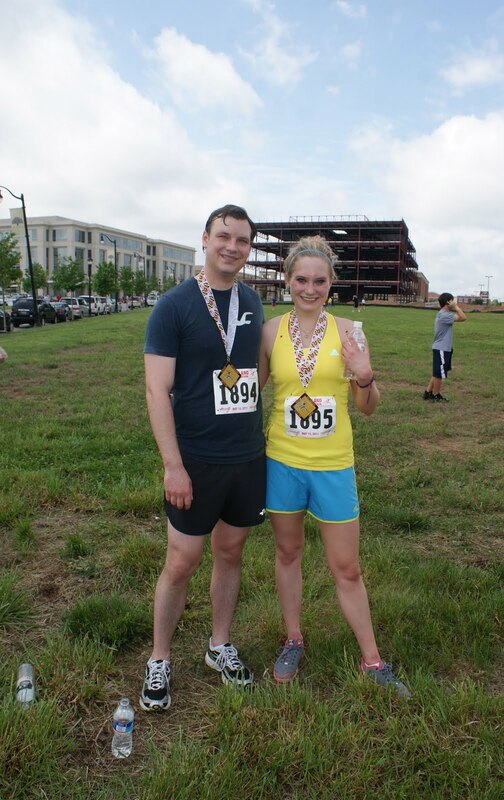 It was J's 3rd half marathon and Meredith's first, and they both did great. 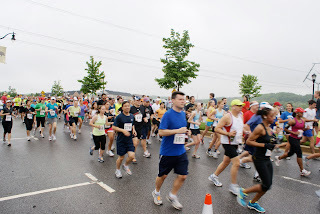 My good friend Melanie also ran the MD Half Marathon yesterday - without walking a single step! I have to admit - all of this excitement makes me have a bit of running fever. I spent Friday and Saturday carbing up with J and his sister, I wore my snazzy new sneakers to the race (even though I passed the time holding a camera), and I rested and relaxed and complained about how tired I was after the race. I was a pseudo-racer. I even dreamt that I ran a race last night! So what better way to show my support for these awesome runners than to wear a fabulous race day mani? For this manicure, I started with two coats of China Glaze Kiwi Cool-ada, a neon green polish. Once that was dry, I painted one coat of China Glaze Crackle Glaze Broken Hearted for the awesome cracked effect. And some race day photos! So, are any of my readers runners? 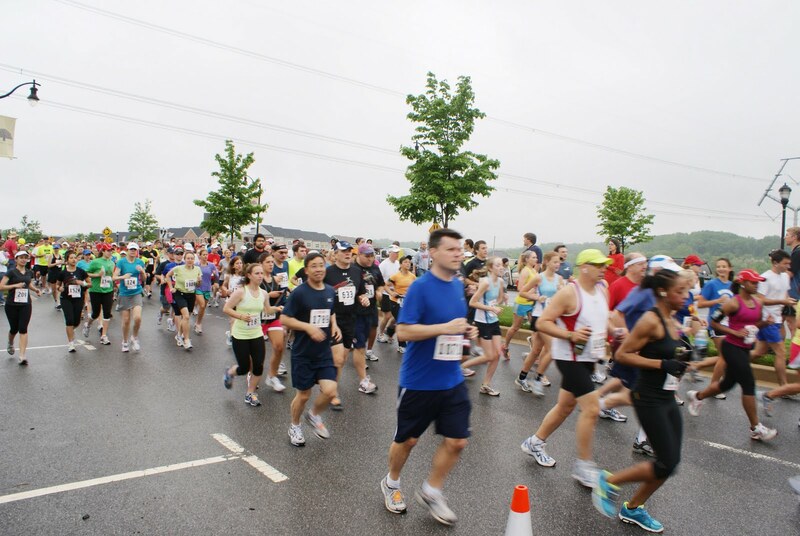 Is anyone training for an upcoming race? Or, has anyone recently completed a race? Me! I did my first half in December, and did another one in March. I also did a 12k leg of a marathon relay a few weeks ago. I LOVE running and when I have weeks like last week, where I didn't get a run in due to family stuff, I go a little crazy! Congrats to J, his sister, and your friend as well! Karen, it seems like so many runners get injured (J spent all winter healing an injured knee, and now he's complaining of shin splints!). A 5K is pretty impressive though! That sounds pretty daunting to me! awesome mani, looks great! i ran competitive in high school but now its just for fun.. but great job to those who ran, congrats! Such spring colors! Love them!! This is so funny! I am also a Babblin' Brooke. That's the name of my blog and I just did a post about my hubby and his sister finishing a marathon! Great Brooke's think alike, no? Here's my blog address if you want to check it out.